What does Digital Design Services Inc do for the museum industry? Integrate software and technology to make your exhibit engaging and memorable! 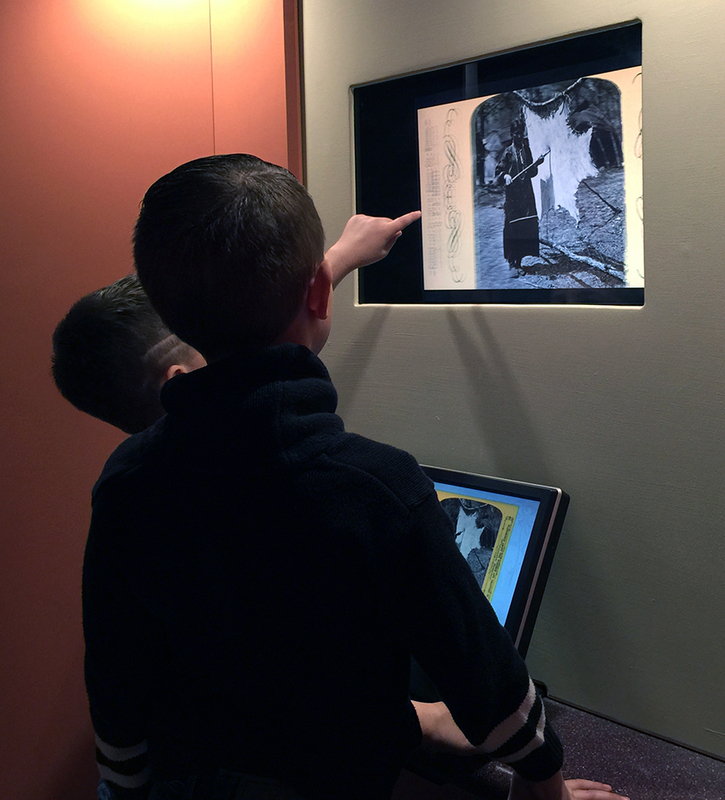 Simply put, we create digital exhibit interactives and integrate technology into museum spaces. All of our interactives are custom designed with your outcome in mind and are graphically rich. That includes images, user interface (UI) elements, video, 2D and 3D animations, sound and music. We integrate this multimedia content with hardware and user friendly, engaging user input methods such as hands-free and multi-touch interactivity! We differentiate ourselves by creating an engaging custom application to meet your desired outcomes. Our software can be written for single and multi-touch touchscreen kiosk hardware. We will provide graphic design, hardware, programming and content development. There are times when an exhibit calls for more than a touch screen. We will "interactivate" your gallery space using non-traditional and traditional user input like joysticks, sensors, spinning wheels, push buttons, RFID tags and readers, mobile devices and more! In addition to our software capabilities, we can specify, purchase and install the right hardware for the right interactive exhibit. Some technology examples include touchscreens, computers, digital players, pushbuttons, mobile devices, tablets, motion sensors, networking, transducers, projectors, DMX lighting control, speakers and bluetooth beacons.